I was really excited to work with Savory Spice Shop on a Virtual Potluck project. I mean, how can I not love spices? 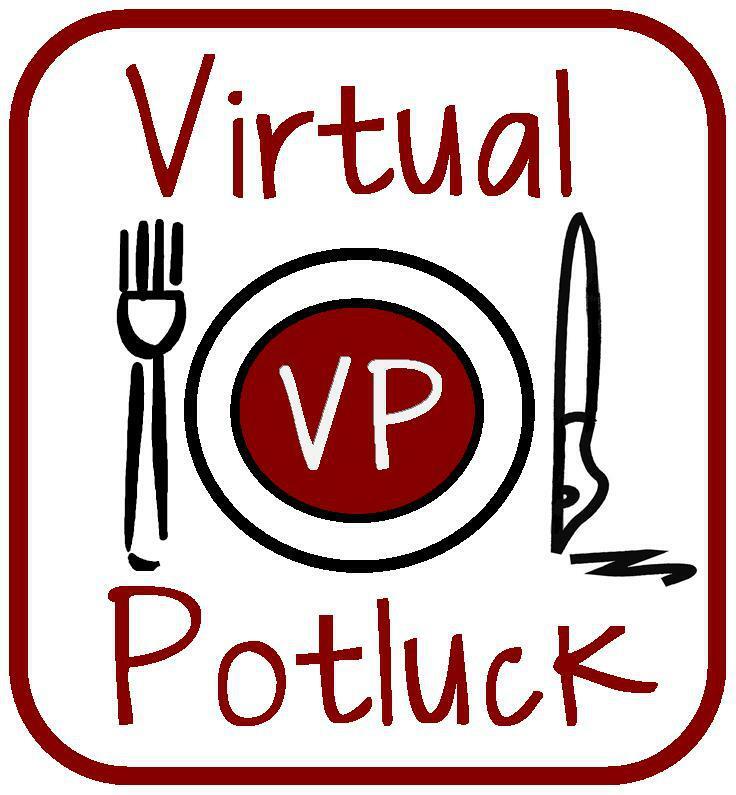 And the Virtual Potluck bloggers shared my enthusiasm, since all 12 of us signed up. Did I mention that Savory Spice has been very generous? Each of us got spices to work with, and Savory will be supplying a gift box for each blogger to give away. 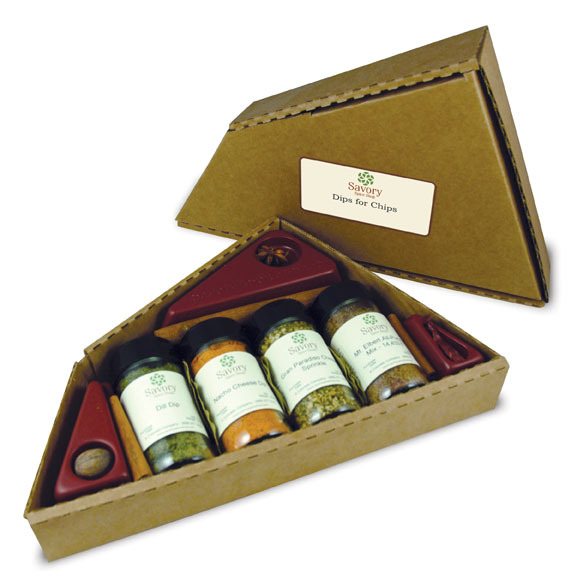 The gift boxes we're giving away are based on the spice sections we worked on. Because, you see, the stores are divided into sections, each blogger used products from one (or two) of the sections. So there are 12 different gift boxes up for grabs. Shelby from Diabetic Foodie chose the Curry section. She whipped up Vadouvan Curry-Dusted Scallops with Apple Broth. Oh, but that's not all. She's planning on doing more posts during the week featuring other curry blends. it sounds like she really liked those spices! Rachel from the blog Rachel Cooks made Split Pea Soup. Rachel's section was Herbs. I'm not sure which ones she used in the soup - you'll have to go see for yourself. Theresa from Foodhunter's Guide to Cuisine worked with items from the Extracts section, and she made what she called a Spumoni Sundae. 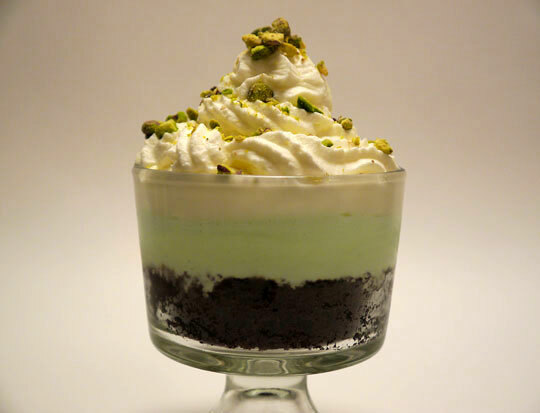 Theresa said, "It's a layer of chocolate cherry cake, a layer of pistachio ice cream and a layer of almond whipped cream." Marnely of Cooking with Books made Orange Poppy Seed Scones with Citrus Glaze. She was working in the Seeds section where she found Dutch Blue Poppy Seeds. She also snuck into someone else's pantry and borrowed some orange and vanilla extract for her recipe. Milisa of Miss in the Kitchen whipped up a plate of Venison Bucatini that will have you drooling on your keyboard. 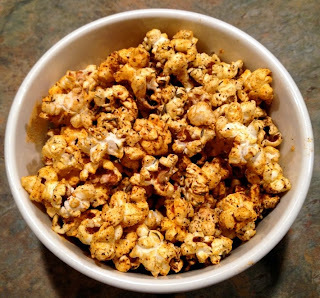 Tara from FOODIE whipped up some Spicy Chili Cheese Popcorn. She was working in the Chile Blends section, and also used cheese powder from another section. But that's not all, she's got another recipe in the works for some ribeyes on the grill that take advantage of those chile blends. 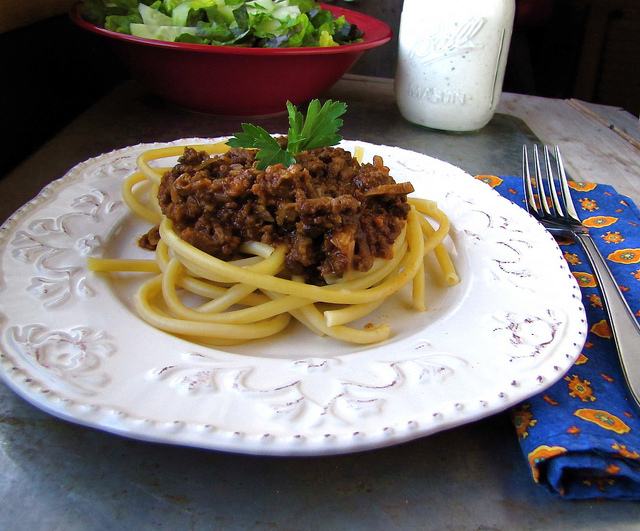 Matt from Thyme in our Kitchen made an Oxtail Ragu with Fennel Pollen Pasta. Maybe that fennel pollen gave you a hint where Matt's spices came from. No? Well, he was in the Exotics section, where you would find more unusual spices. 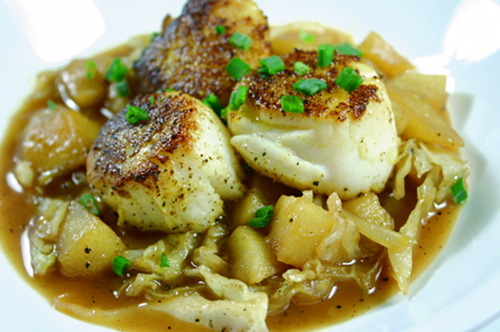 Like the fennel pollen and the black garlic he used in this recipe. Jay from Bite and Booze chose from the Chicken and Seafood section, where there are seasonings that are perfect for your ... you guessed it - chicken and seafood. His recipe is Grilled Rosemary Quail with Team Sweet Mama's BBQ Chicken Rub. 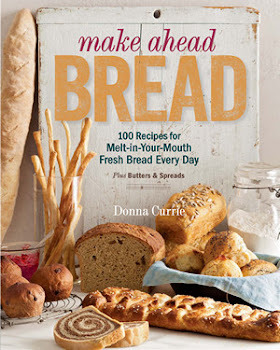 Doesn't that name make you want to see the recipe? Susan from 30AEats made Grilled Shrimp with Vine Ripe Tomatoes - a perfect dish now that the weather is getting warmer almost all over the country. Susan's section was BBQ, so it makes sense she'd be grilling. Then again those barbecue spices are great in the winter when you're in the mood for the flavor, but the weather says "no." Vanessa from Groov-Y Foody was working in the baking section where she decided to specialize in chocolate. Yup, she played in the cocoa powder. 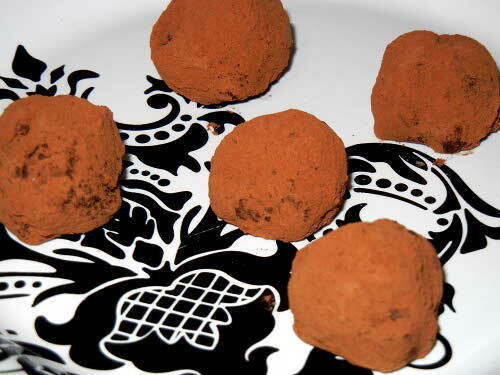 Her recipe is for Cocoa-Dusted Bleu Cheese Truffles. Dang, she's creative! These truffles are a lovely appetizer for cheese lovers. Heather from Farmgirl Gourmet spiced up her kitchen with selections from the Chile section.Unlike the Chile Blends, this is where you'll find whole dried chiles. 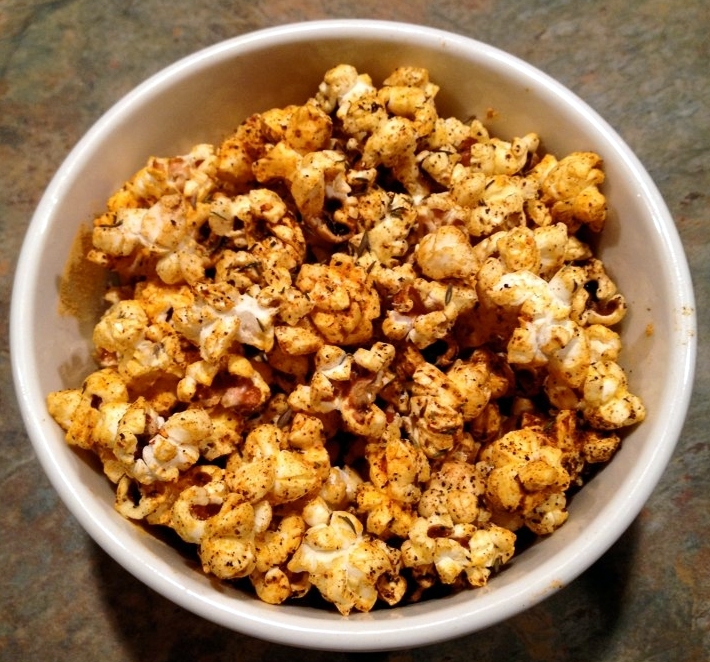 She made something the chili-heads will love - Homemade Sriracha from Dried Chiles. And here's my post, right here at Cookistry. I worked with the Dips and Dressings section and the Peppercorn section. I made dill-coated fish. But that's not all. 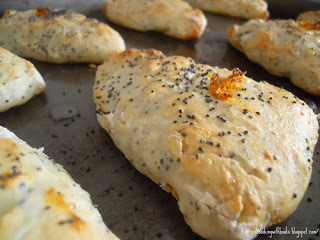 How about some cheese biscuits topped with very special ground pepper berries? Check out my recipe here. 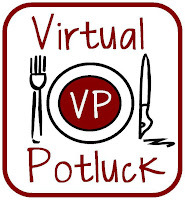 Make sure you visit ALL the Virtual Potluck bloggers this week. You might win something that looks like this! Each blogger has a different gift set to give away, but they're all pretty great. How can you go wrong? Every needs a little extra spice in their life, right? Want more information about Savory Spice Shop? Visit the online store, the website, and the Facebook page.